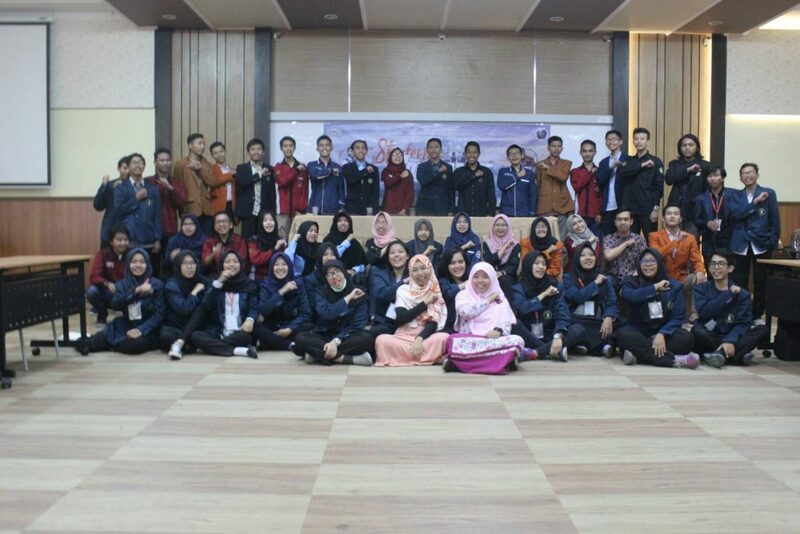 Malang – Sunday (13/5), Student Conference has been held in the 3 floor of D floor of Faculty of Economics and Business Universitas Brawijaya. With the theme of “Strategy of Manpower Development and UMKM in Malang City in Facing Disruptive Era of Industrial Revolution 4.0: Scientific Multiperspective Review”, student from research institution representatives from Malang, starting from research institute in Universitas Brawijaya, State University of Malang, State Polytechnic of Malang , STIE Malang Kucecwara, State Islamic University of Malang, and Universitas Kanjuruhan jointly formulate solution to face Industrial Revolution 4.0 in Malang. Student Conference is an event initiated by UB Economy and Business Student Lingkar Universitas Brawijaya. This event aims to improve the ability of critical thinking and creative thinking from students to find solutions to the problems that exist in Malang. In addition, this event also aims to establish silaturrahmi with research institutions in Malang. Previously, a seminar was held on Saturday (12/5) which presented 2 speakers from academics and practitioners namely Angga Erlando, SE., M.Ec, Dev and Vicky Arief H., S. Kom. In his presentation, Angga suggested improvements in skills, integration among all sectors and collaboration between all lines of government, students, academics, and society. 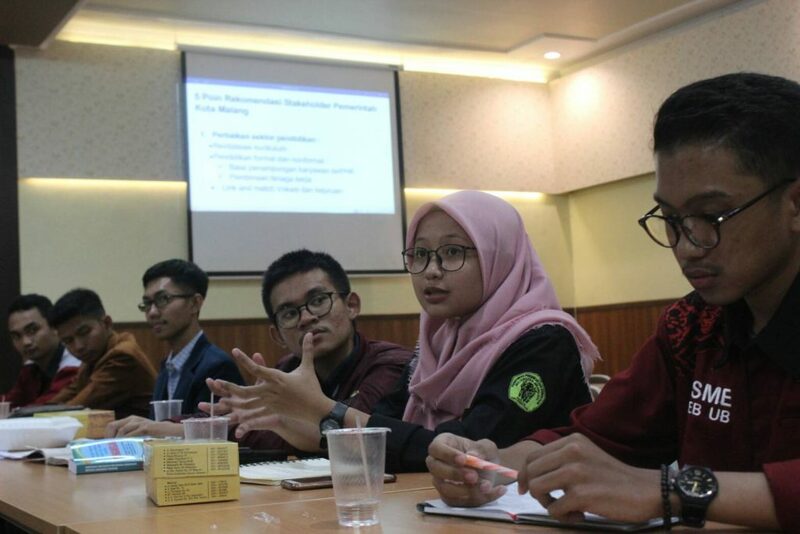 In the Focus Group Discussion session, participants were divided into 3 stakeholders, namely government, businessmen and labor associations where in this session the participants formulated a strategy to be done to overcome the problems related to industrial revolution 4.0 in Malang. The FGD result is a 5 point recommendation that will be brought for discussion in the General Discussion. From the general discussion results there are several points of the resulting solution. The first is the need for a regulation of online business that is related to the specifications, qualifications, licensing, until the regulation of taxes. Then, the government needs to set a curriculum that is in line with what the world needs. Currently in the world of work is rarely a labor need rough, all manual work has been diverted much with technology and machinery, for that our education must be able to adjust to what is needed in the world of work. The establishment of business incubators to support start-up business in Malang is also one of the solutions that can be taken by the government. It needs to be held also a collaboration between the government, businessmen and labor associations to prepare the city of Malang in the era of disruption of industrial revolution 4.0. For example by regular training of hardskill and softskill skills of labor initiated by Labor Center which can be followed by the work force by presenting the speakers from the experts and the UMKM. In addition, it is also important to socialize to the UMKM related to the licensing process, business facilities, product marketing, capital assistance and also introduce a forum of SMEs in Malang. At the end of the event, a draft was signed by all representatives of the institutions present. The hope that the solution has been formulated can be a recommendation for the relevant stakeholders, especially the Malang City Government in taking a policy.